The only Czech in history to be signed globally to RCA – Sony Music coming sixth at this years Eurovision Song Contest beating all the past acts from the Czech Republic. 22 years old, former street performer now announced one of the most inspirational people of 2018 by Forbes Magazine. 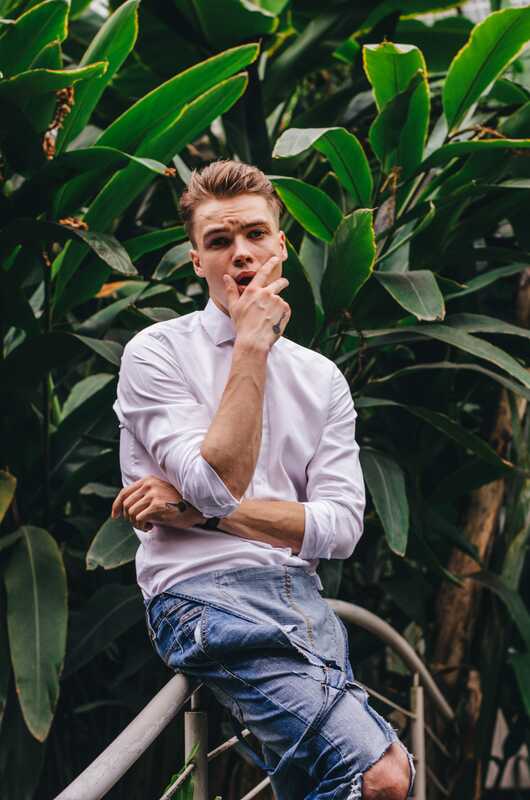 Introducing MIKOLAS JOSEF. MC: What was your first touch with music? 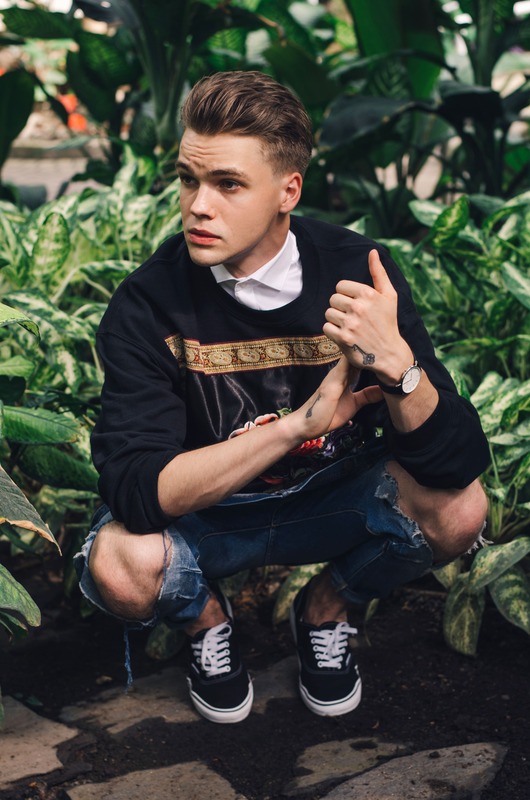 MIKOLAS JOSEF: Me, I come from a musical family. Started playing the guitar when I was 5 I think. My dad had the same dream like me. However my sister was born when he was 19 so he had to give up on that and had to go for a 9 to 5 job. Today he’s part of my management and we work together. He brought me to the first concerts. I remember mostly it was all folk music. Small village gigs you know no stadiums or anything but ever since seeing that I just knew what I want to do. I never had to make any decisions really. My mom plays the piano, my dad plays the guitar and the violin. Speaking about folk roots – how is it that you found yourself in the pop scene? We all have our musical background. For some people it’s gospel, for me it was folk. Perhaps it is because folk music has the biggest tradition here. If you look at the current Czech stuff on the radio, most of it is this pop – guitar – folk thing. There is always a guitar in there somewhere. (laughing) Otherwise it will have a hard time finding its way to the charts. I was into that kind of stuff too when I was younger but the truth is it‘s just the same thing repeating itself all over again for years and years now. Very few Spotify users here, rarely influenced by the world pop scene. Mentioning Spotify – what are you listening to right now? [Scrolling Spotify] So I’m really into Post Malone lately, just heard the new album from Shawn Mendes, the Vibras album from J Balvin. Also Cardi B, Drake, Kehlani of course! King Princess – 1950, I love the song! Kendrick Lamar, The Weekend. From Europe I’ve got Anne-Marie, Felix Jaehn… Yep, that’s my playlist right now. You studied acting then you worked as a model but you still ended up in music. Acting wasn’t the right thing for you? I love acting, no doubt about that. I just came back to it in a different way. When I’m in studio sessions, I am that type of guy who thinks really visually about music. I couldn’t have anyone else directing my music videos for me. I have to do it myself. I was directing for other artists too as it’s just something I love to do but nowadays I don’t do it that much anymore. I am still open to acting too. Should the right role come my way I would consider it for sure. I got into modelling when I was 17 and did it for about nine months. It wasn’t for me at all so I quit and never got back to it again. Apart from modelling I was doing a lot of jobs – I was cleaning offices for a long time, I was working as a construction worker. Modelling was a good lesson. Taught me how to say no, I got to see some parts of the world I haven’t seen before. A lot to be thankful for apart from the negative stuff. Do you think that your way of making music will change? As we know you’re producing everything by yourself. Honestly, I don’t think so. And I don’t even want it to change. Of course my team is getting bigger and with all the touring you rarely have the time to do every single thing by yourself but I still do the majority and set the direction. When I signed with Sony, the priority was that I keep on doing everything by myself, because we all think it works. Look at all the people like Pharrell Williams, Kanye West, Shawn Mendes, Beyonce… The signature these people have is the reason they are where they are. If you get yourself 50 people to do it all for you, you are left with zero authenticity and character. And that is what the people want. Realness. That’s what they are inspired by and so am I. How do you feel as the most successful Czech singer in Eurovision so far? I went to Eurovision only because they allowed me to go with my own song. When they offered me the gig back in 2017 I said no as they insisted on some track I felt no relation to. This way, Eurovision was a great start for me, I’m happy about how it went and I’m happy especially how the people voted. I took it as an opportunity for me to grow and spread my music with the rest of the world. Was there something that really surprised you while participating in the contest? What really got me was how real it was behind the curtain. Of course you have people who have their whole team behind them only coming to the stage, being dressed in stuff they didn’t chose singing a song that means nothing to them but you would be surprised how many people were for real. I didn’t expect that at all. You got injured during the rehearsals and nearly didn’t make it to the stage. How are you feeling now? Thanks, it’s so much better now, I’m nearly back to 100 %, just had a therapist session yesterday. That accident really messed it up for me. Imagine that you’re preparing for a TV show for five months and suddenly in a matter of seconds it can be all over. It brought a lot of negativity and fear and it surely had an effect on the whole team. It took me about a week to be able to perform. I was still on painkillers back then but the overall support from everyone was amazing. I heard you want to move to the US. Do you think you will leave Czech Republic for good then? The plan is to move to LA but I don’t think I’ll be able to base myself anywhere because I’m always traveling. I feel like I have to expose myself to the people I get inspired by and leave the comfort zone a little. I think I would never write a song like “Lie to Me” if I didn’t go abroad. When I moved to Vienna and got into the international perception of music it really opened up new possibilities. That’s what I’m looking for the most and apart from that, LA is the place where all the industry people are. Maybe I won’t like it, maybe I will, I don’t know yet, but at the end of the summer I know I’m moving there for quite some time and until then it’s the European promo. Just got back from Germany now it’s the time to release the Spanish version of “Lie to Me”. Then I’ll be going to Madrid, Stockholm and then LA. A lot of traveling, but this is what I always wanted. I’m the happiest person alive right now, honestly. Busking was in some ways your start with music, quite similar to artists like Passenger, Ed Sheeran. Will you continue playing in the streets? I started busking when I was 15 in the Prague subway and then I started to travel around Europe. When I busked in Hamburg I did it at a place where Passenger played. I think Spitalerstraße was the name of the street. That was probably the most magical busking gig that I ever did. I always knew what I wanted to do but getting in front of people was the problem. I was in need of losing stage fright and of course I was trying to make some money on the side. That was the time when I quit modeling and I was like: „Okay, if I want to make money – I want to make it by music.“ My first trip to Norway was quite unsuccessful, it was raining, no people at all, I was really nervous, it was horrible. (laughing) And then on my way back from Norway I stopped at Hamburg and that was the breaking point. I learned that stage fright will always be there to some extent, it’s just something for you to use. Since then I stopped going to school, every Friday I got in the car and on Monday I changed the coins for paper money in the bank and went back home. I played in Switzerland a lot, of course Prague, got busted by the police in Vienna but the place I was always coming back to was Hamburg. I remain a big fan of street art. What’s the best thing that happened to you while busking? The best thing for me when it comes to busking is having been through it. When I now get on a real stage having your own dressing room not worrying about the police or the weather all time you are thankful for the things many still take for granted. And it does make a difference in the gig. The street magic is about coming to a place you’ve never been to, you start playing and after three songs you open your eyes and see the people around you. Sometimes people start dancing in the middle of the crowd, hand you a drink. Small things that really move you. You have amazing moments and you have crazy moments. But that is the street. If you don’t want that just go a different way. What is the point of making it in music for you? Being in the studio with Nikodem Milewski we always talk about getting Grammys but at the same time we both know that as long as your music speaks to the people and it’s authentic, that’s the point where truly you make it. It’s not about selling out venues for 50,000 people. That comes only after getting it right. 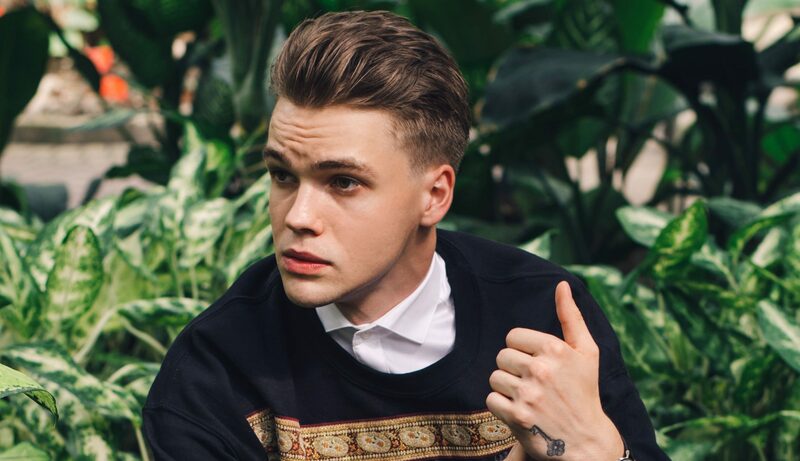 What can we expect from Mikolas Josef in the near future? I will be releasing my next single towards the end of summer, maybe autumn. A lot of gigs too, including my own, we will be shooting a documentary, many studio sessions. Looking forward to it all!